" You guided me how to love myself once again through your cues during practices. Your yoga is an inspiration of love and gratitude within and beyond myself." You should feel comfortable in your choice to take classes or workshops from Mandy but how can you know if you've never experienced it for yourself? Take a read of Mandy's reviews from all ages, mobility levels, beginners to regular practitioners and even fellow yoga teachers! Hopefully this will paint you a picture of Mandy's approach to the yogic practice. "What I love about Mandy's classes is the playfulness that you don't get with all teachers. 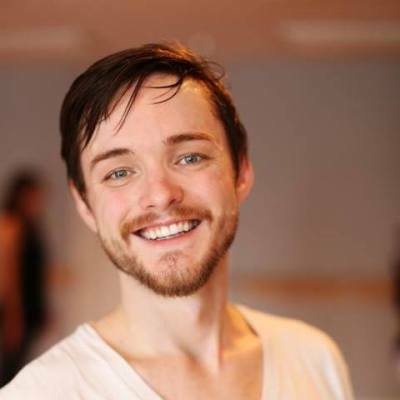 Mandy encourage students to have fun during their practice instead of focusing on rigidity. Also setting intentions before every class really helps to focus on what you want to achieve both inside and outside the studio. Her openness allows students to ask for help which you don't get with every teacher. Overall I really enjoy the classes as it always feels more fun then work especially during those tough poses. " "So what is the difference between a good yoga instructor and a great one? Take a class with Mandy to find out. If you want to truly learn (as I do) Mandy is your instructor. She will direct your yoga practice to best suit individual needs, providing lots of options. Mandy will help keep you safe and motivated. Aside from all this she is a genuine person with a good heart. We are lucky to have a yoga instructor with Mandy’s qualifications in the K-W region. " "I've known Mandy for several years now, and have taken both Moksha and yin yoga with her. i anticipate these classes with warm delight because i know i am going to receive meaningful guidance on several levels. in terms of leading our physical practice, Mandy offers precise cuing in a confident manner. Mandy always offers hands-on physical adjustments and helpful tips to ease either deeper into a pose or to correct alignment. going beyond the practice of physical poses, i love how Mandy brings depth to class -> we will start class with a suggested mantra or quote, and Mandy brings us back to this idea throughout our practice. Mandy is wonderful at guiding relaxed breathing - her cues bring me grounding and peace. i leave class feeling i have grown in my physical, mental, and spiritual yoga practice. 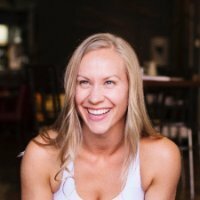 We are so fortunate to have Mandy at Moksha yoga waterloo!" "I did Mandy's class on Friday at 5:30 pm and Sunday's 7 pm Yin class She is very good ... exceptional in fact. I consider Dianne Morgan the best Yin instructor I have had, and Mandy is very close. Her assistance both Friday night and Sunday night were on point, not intrusive but very helpful. She had a large class last night and masterfully handled the room. The aroma scents were a very nice touch. " 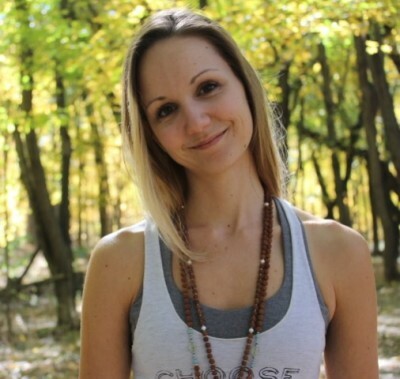 "Mandy is an exceptional, gifted, knowledgeable, Yoga Teacher. She inspires me to have the courage to find my best self on and off the mat. She instructs the perfect balance between breath and body alignment. She differentiates her instruction to provide an empathetic challenging practice for the most advanced yogi to an innocent yoga beginner. As she teaches she feels the energy her students provide in the room and intuitively knows how to use this energy as she guides her class. She makes insightful accommodations for her students and gently supports their individual practice. She is gifted at finding the spiritual sense of peace for all of her students. I genuinely feel a sense of gratitude for her expert instruction and thoughtful approach to yoga. She brings me closer to my own spirt and body well having fun at the same time. " "One thing that is notable about Mandy is her attention to the individuals in her class. She remembers names as well as particular requirements so that she can adapt her teaching to the various needs of her class participants. She is both clear in her instructions for the various postures as well as almost poetic in her delivery of these. 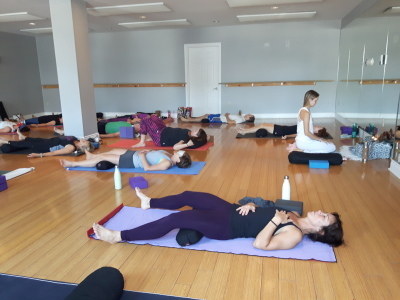 Being in Mandy's classes is comforting and encouraging; It is critical in yoga, as in so many things, to feel safe and relaxed in order to maximum one's experience and deepen one's practice." "My passions are biking and running so, as you might imagine, yoga does not come naturally. I’ve been taking yoga classes for the last 2 years, from various instructors. I feel I’ve learned the most from Mandy because she is a wealth of knowledge, which both encourages and humbles me. At the end of the day I keep going back to Mandy because yoga allows me to stay limber and remain fully engaged in biking and running. " "I have a professional background as a Registered Kinesiologist. It is very important to me that the yoga teacher practices clear instruction, good form, cues and explanations of the exercises. Mandy is exceptional and adds a very unique touch to her classes by giving cues, messages, quotes and lessons. Mandy's classes also offer a spiritual perspective with something for everyone. [...] It is exactly what my body and brain need to help me cope with the craziness of life! I would highly recommend any of her classes. " "Mandy's Live Brightly Workshop was fantastic! She was professional and super informative, with a huge dash of authenticity. I walked away with lots of new information and more importantly, a spark to learn more!" Your workshop was very useful to me. I had some scattered knowledge of Ayurvedic principles. However, your presentation connected so much more information in a very seamless way. You were warm, inclusive, respectful, and very professional with the workshop participants. The material was based on complex textbook information but you delivered it in a way that was both appealing and easily integrated into a discussion-style presentation. I look forward to hearing about any future workshops. "Attending an information session with Mandy Elizabeth is a step into balance and love. The light she sheds on the history of yoga, transitioning into breath work to support and enhance yoga practice as well as a tool to reduce stress and anxiety is invaluable. 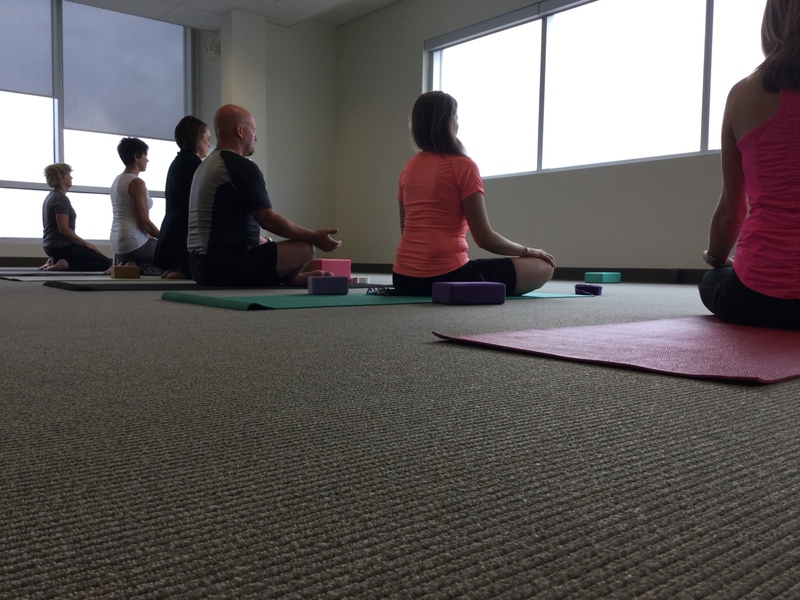 Mandy’s thorough and well-paced presentation of the history through to hands on experiential movement brings participants into a greater understanding of the importance of yoga and recognizing self as part of all that we encounter. Her rich descriptions and loving support leave participants wanting more. I am truly excited to experience further sessions that will promote my well-being and my relationship to others and nature." "Mandy – Thanks so much for class! I received a lot of positive feedback afterwards and wanted to let you know. The class really appreciated your teaching style – the adjustments and corrections that you made to our positions during class were welcomed by all! Other feedback was that you seemed very knowledgeable and geared the class to exactly what we need to address our long days of sitting and working on computers. So you were a big hit." 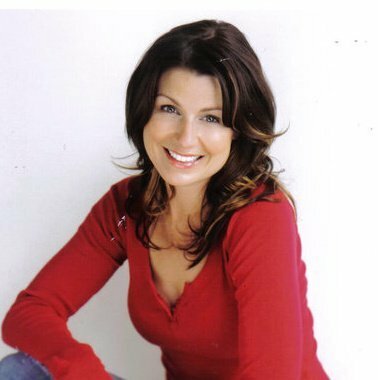 "Mandy has an impressive knowledge of human physiology and provides good explanation for what the yoga practice is meant to achieve. She gives personal attention when needed and lots of encouragement. Classes are well paced and I come away feeling rejuvenated. I look forward to each class and really hate it if I need to miss one!" - Stephanie Bell - Director of Human Resources at MTE Consultants Inc.
"Mandy’s thirst for learning and inner growth shines through in her classes. She guides her students with clarity and precision, which supports a feeling of safety to truly let go. She challenges her students through a balance of movement and stillness which leaves space for one to grow stronger as well as cultivate more calm in their lives (and who doesn’t want a little more of THAT in their lives!?) It’s a real joy to land in her classes. Thanks Mandy!" "Mandy's classes are as insightful, challenging and meaningful, as they are giving, compassionate and graceful. Her adjustments to asanas, for example, are masterfully applied, and her perpetually growing knowledge of vinyasa, is inspiring. [...]Her dedication to students (even in big classes), and her overall love of teaching yoga, is unparalleled. [...] I encourage all beginners, as well as those more advanced yoga practitioners, to do themselves a favour, and book themselves into one of her classes. " "You have such a refined craft and clarity of action in your practice as a teacher. Your class where you had has do a 2:1 pacing with our breath will stay with me as one of my most transcendent classes of my life. You're constantly creative but consistent with what is a japa repetition. You're authentic, approachable, unpretentious, not show-off-y despite your talent, and set a kind supportive energy in all your classes." If you've had an experience in one of my classes and you'd care to share it, please fill out the comment section below. Feedback is truly a profound path to grow as a teacher; so whether it's a suggestion (e.g constructive feedback) or something you really loved I'm all ears!